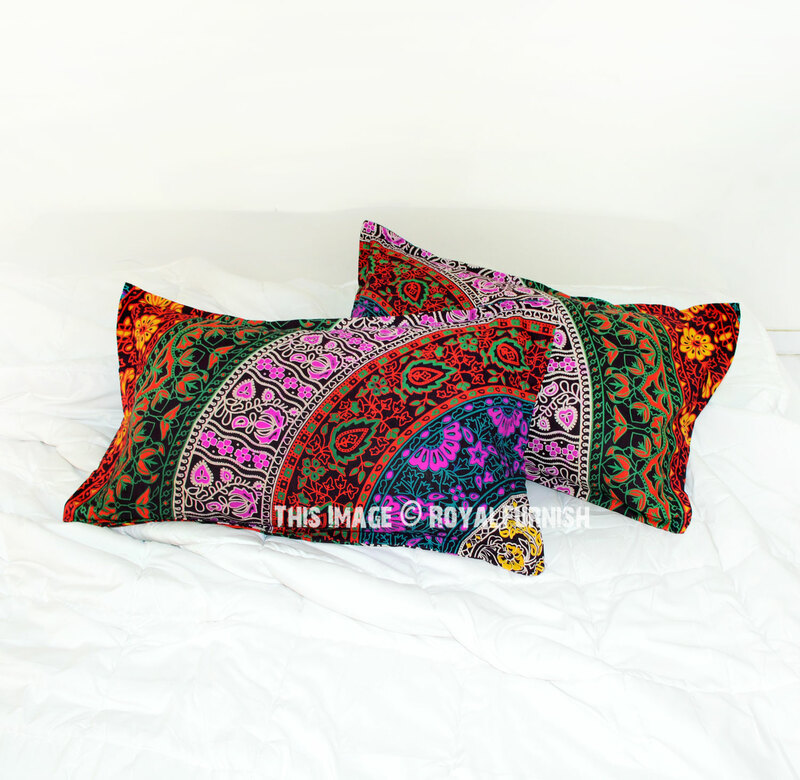 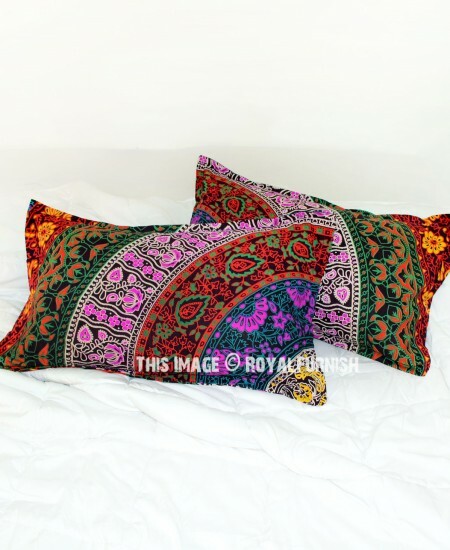 Comfortable and stylish, these elegantly mandala design printed pillowcases adds a brilliant pop of vibrant style to your bed. 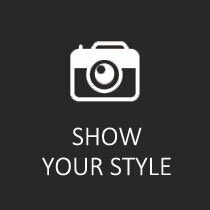 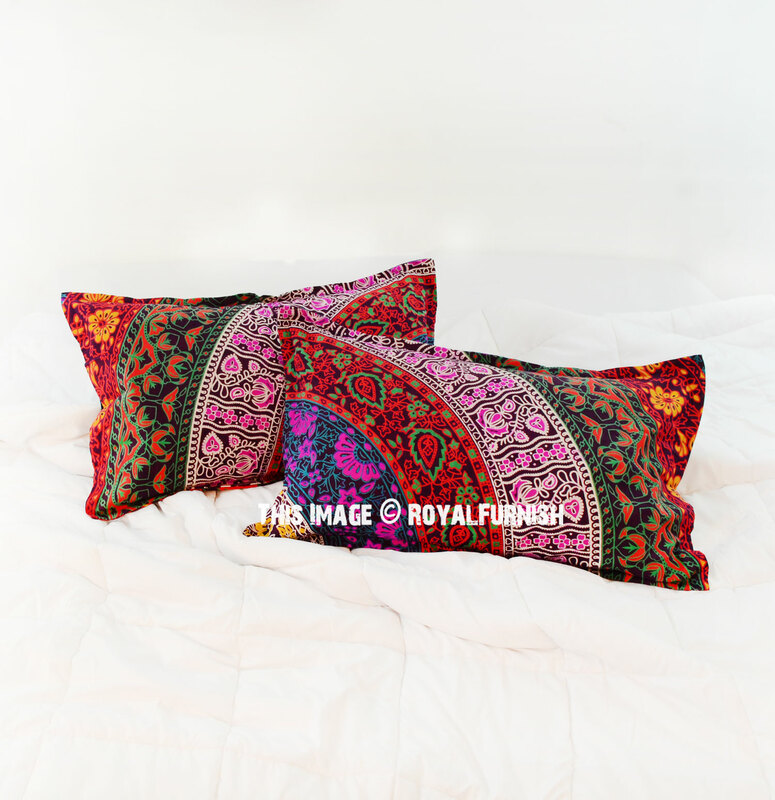 This cotton blend set is vibrantly sophisticated. 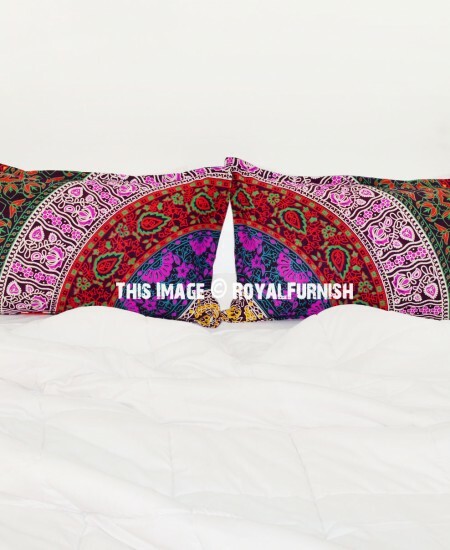 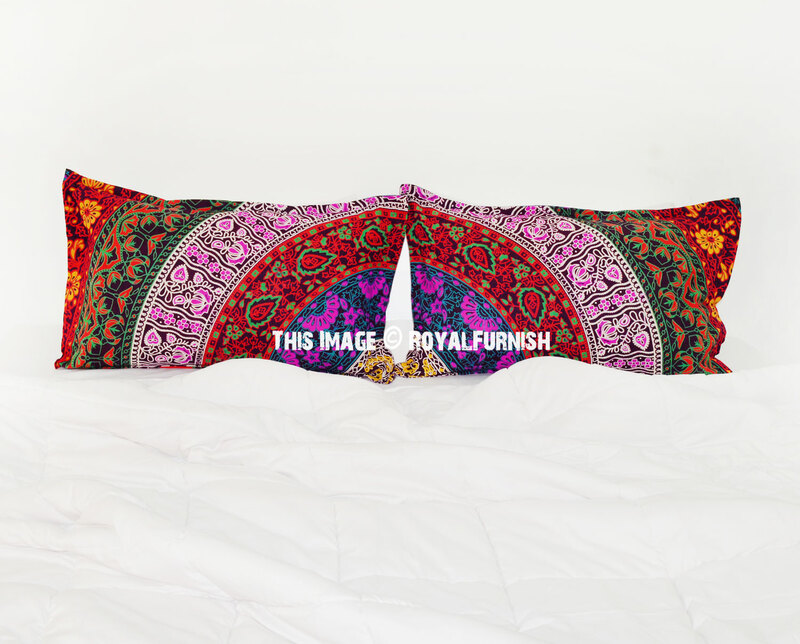 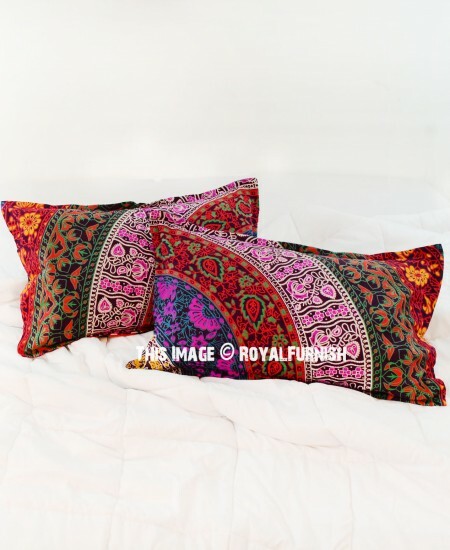 Envelope closures on the back ensure your pillows stay snug in the sham while making it easy to insert and remove your pillows when it's time to wash.
Purple Plum And Bow Bohemian Mandala Pillow Covers Set of Two added to the cart!